The modern breed of scanners can scan whatever you hand out…for a price. That’s why it is key to understand your current and anticipate your near future needs before purchasing. It’s about more than budget; it’s about coming up to speed on the increasing demands of government to have strong audit trails. Conversely, keep in mind that scanning can be overdone. You do not need to retain every shopping list, pizza receipt and dry cleaning receipt you have ever touched. So selecting a scanner is a bit tricky. Saying “no” to functions you don’t need goes against our attraction to anything new and interesting. However, when you keep your needs, real needs, in mind, you can purchase a scanner that will serve you well and help keep you current on documentation retention requirements. Manufactured by Fujitsu, a name long synonymous with expert reproduction, our gold pick is the ScanSnap iX500 Scanner. If you want speed in a compact unit, the ScanSnap is your scanner. Weighing in at less than 10 pounds, this lightweight has a small footprint: 10 x 15.7x 10. Though lightweight in fact, the ScanSnap is a heavyweight in action. Easily scanning 25, double-sided color pages per minute and loaded with extras, the $410 price tag is no surprise. The scanner is an attractive, lean model. Mat black is a pleasant change from all the super-shiny devices you probably have around the office. The paper feeder and exit fold neatly into the main unit for an even smaller footprint. There is one release that exposes most of the interior of the unit for easy paper jam clearing. There is one functional button on the machine: scan. Included with the scanner is all necessary electrical cords and DVDs containing the software including Adobe. Some of our reviewers disliked the included DVDs and wished that the software was downloadable instead, but that is an insubstantial objection. Loaded with features, our reviewers agree that the big selling point of this scanner is the mobile compatibility. You can setup this scanner so that you can scan from your mobile device and to your mobile device. Here’s how that works: define your mobile device to ScanSnap iX500; place the document(s) in the paper-feeder; select “scan” on your mobile. The iX500 scans the document and sends it to your mobile; from there you can send it anywhere else it needs to go. This function alone is worth the price of admission as it saves many steps in document processing. 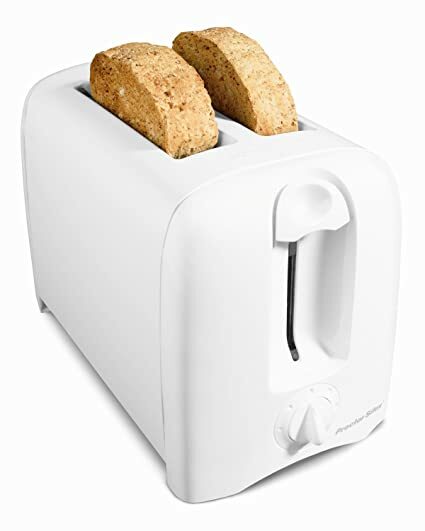 USB or Wi-Fi connectivity and PC and Mac compatible, documents saved in PDF or JPEG format, this machine is versatile. The iX500 ScanSnap scans almost everything: business cards, legal pages, thick pages, thin pages, receipts, scraps of paper, toll cards, photographs and bills of lading. Many of our reviewers accidentally scanned plastic cards without problem or hesitation (not recommended). Fujitsu includes a protective plastic sheet to enable scanning damaged or oddly shaped documents, though few of our reviewers had to use it. Don’t worry about stacking the feeder with different sized pages; the iX500 ScanSnap is smart enough to manage differences of size. The quick menu is about 17 items long, but if there are items you don’t need, you can customize the list to display only the options you actually use. The iX500 has analytical abilities. Let’s say you put a stack of business cards in the scanner and press “scan.” The scanner recognizes the business cards and the app displays business-card related software from which you can select. Password protection ensures that only approved users have access to documents not designed for general visibility. Everyone, for example, may have access to the menu options for the week while only accounting may see salary information. You can scan documents you have online directly into ScanSnap from your computer as long as the interface application supports PDF or JPEG. Open the ScanSnap folder from your computer, select the blue “scan” button and your document is imported to your application. The iX500 ScanSnap doesn’t just take all your documents and dump them into a gigantic bin that you have to dig through when you need something. This scanner is a true document processing system; it organizes and categorizes your documents as you want them. Don’t be alarmed at the size of the user guide. The real directions are simple, step-by-step procedures you follow on your computer as you need them. We strongly suggest you take some time to review the functions. You will certainly find gems in there that you didn’t realize were included. Need more tricks? You can edit PDFs with ScanSnap. Here’s an example. You have to release some documents that contain proprietary information. You can use the highlight function to redact all the information as needed from those documents. Maybe you have a set of documents that references a specific company that has just changed its name…you got it…ScanSnap can take over that project also. A point that many of our reviewers commented on is that ScanSnap does not support Twain, which is needed for some 3rd party software. As with many advanced tech toys we purchase, you probably won’t use all of the cool functions available. For example, the ScanSnap automatically straightens pages that are out of alignment, skips blank pages, and detects color for precise scanning. However, if you want a reliable, intelligent flexible scanner and a whole lot more, the iX500 ScanSnap is a great option. Costing about $300 our silver winner, the Epson WorkForce DS-510 Color Document Scanner is a solid, versatile machine. It has almost as small a footprint as the ScanSnap and weights about the same. Other similarities include: page processing speed at about 26 pages per minute, the ability to scan both sides of the document at the same time in a single pass, reproduction quality and the capability of processing documents of all sizes and thicknesses. The Epson DS-510 supports Twain and WIA drivers; you can download compatible ISIS drivers from the Epson Web site. This is a feature not available with our gold pick. Now for a few details. The Epson DS-510 is an excellent, fast scanner with impressive reproduction. It is compatible with Mac and PC systems. It does scan business cards, but with less than ideal results, though certainly much better than entering the data manually. For scanning substantially thicker objects, the example in the user manual is a shipping envelope, you have to make a manual adjustment on the machine using the page separation lever. This is neither burdensome nor difficult; it is something you have to remember to change and change back after the copy or the following scans may jam the machine. It successfully scans paper of different thickness, but you can expect the occasional jam. Though not wi-fi compatible, you can network your team to enable full-office access to this essential functionality. It is not appropriate here to list the functionality differences between our gold and silver choices. Have noted the key difference in the wi-fi functionality, the two scanners share nearly identical capabilities. Not every home or office environment requires mobile access; in many cases it is more a “nice to have” than requirement. Since the machines have so much functionality in common, where is the $100 difference between them? In a word: software. The Epson DS-510 has significantly slower software. Though the quality of the reproduction is as good, you do wait for the software to complete its work. Additionally, with the Epson, you sacrifice some processing elegance. Renaming documents for easier, more intuitive retrieval requires more steps and those steps are less-well described. 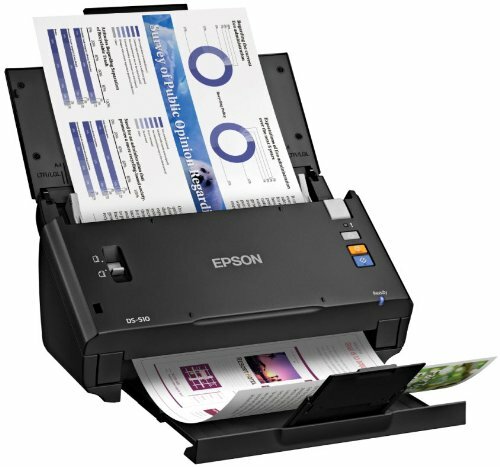 Where the ScanSnap gracefully leads you through the steps with clear displays and prompting, the Epson accomplishes almost as much, but with less clarity and speed. This does not make the DS-510 a poor scanner; it just means that one of the advantages of deeper pockets is an improved user interface. 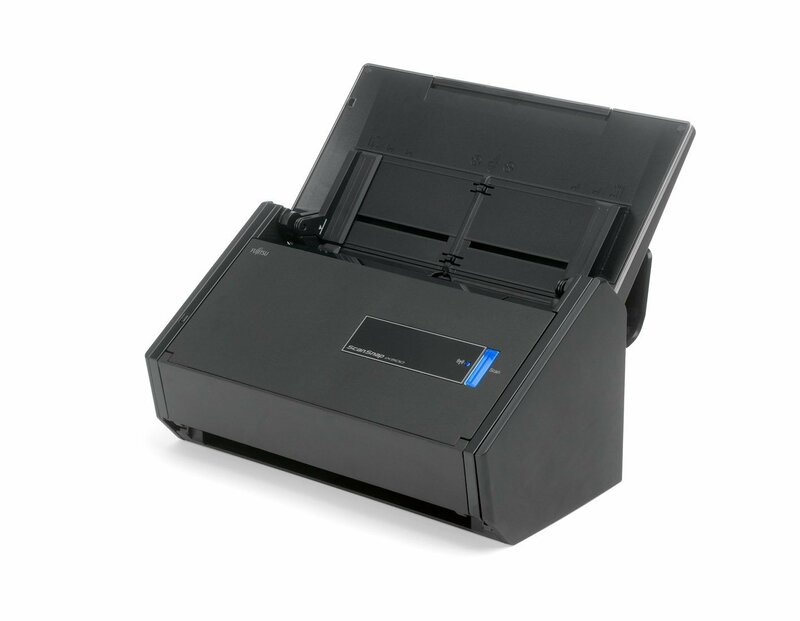 The biggest trick in the iX500 ScanSnap is the key weakness in the Epson WorkForce DS0510 Color Document Scanner. That big trick is wi-fi compatibility. The secondary criticism is that it does not include the Adobe software, which is a considerable outlay. For our reviews who neither needed nor cared about wi-fi, the Epson DS-510 was a good match. In terms of full disclosure, those among our reviewers who needed customer service were underwhelmed by Epson, but the number there was low, so their experiences could have been unique. Our bronze pick, coming in at a little over $300, is the NeatDesk Desktop Scanner and Digital Filing System. As with our gold and silver winners, NeatDesk includes its own software and classification process supported by its own software recognition capabilities. Our reviewers in general found the Neat Desk classification system intuitive enough and acceptable. Something to keep in mind here is that few people in the world purchase several scanners and compare them head-to-head. Most of us do the research, make a purchase, and as long as the scanning works, we are satisfied. NeatDesk takes a different approach to scanning than our gold and silver winners. The NeatDesk scanner is designed with a unique feed path for each anticipated document type. The three feed paths are: document, receipt and business card. The scanned is designed to manage ten of each type at a time; you should be able to scan ten documents, ten receipts and ten business cards in a single scan. Our gold and silver winners enable scanning mixed size documents in a single feeder path. Nether method is inherently better than the other; they are just different. However, this does mean that when you have many mixed document types to scan, you have the step of separating them into appropriate size categories before you can scan; not a big effort, but an effort. To restore the calibration details to the scanner, NeatDesk includes special calibration paper that you scan through the machine every so often. This is required because NeatDesk does have a tendency to lose calibration. This is a small effort. The NeatDesk initially scans documents almost as quickly and accurately as our gold and silver picks, but loses that initial power fairly quickly. This is not a problem for most of our reviewers who use this for personal documents or very small businesses; super speed is not essential to them. Additionally, though an accurate duplex scanner (meaning that it scans both sides of the paper at the same time), NeatDesk is for documents only. Yes, it is advertised for more demanding scans such as picture and photography, but the bulk of our review base did not feel its higher level scans were adequate. Still, as most home users and home businesses do not require photographic scanning facilities. As we know from our Superman experience, with great power comes great responsibility. When you purchase NeatDesk you are essentially entering the NeatDesk software universe. Since this implies a long term relationship, do your research and make sure you love the NeatDesk system. Look at the support offered, understand their release system and how you can access your data. This is true for any scanner system you consider, but we make a particular point of mentioning it here because our reviewers did not find the software to be the strong point of this scanner. For solid scanning, our reviews are satisfied. The software is sometimes described as quirky or not intuitive. The instructions are not warmly reviewed either, but there are ample on-line videos and support that may ease these issues. In terms of the reliability of the recognition software, NeatDesk is not equal to the Epson and ScanSnap scanners we reviewed as our gold and silver selections. Most reviews reported that for receipts particularly NeatDesk falls short. You may have to add corrections or clarifications to the receipt data because NeatDesk is not as good at reading the data; maybe it needs glasses (lol). Backups are another factor with all of these systems. How and where you backup your data is important to consider. If you can only backup to a proprietary system using proprietary software, you may be constraining yourself. Make sure you can backup to the system you want to use as opposed to some backup required or defined by the software. You want access to your data how and when you want. 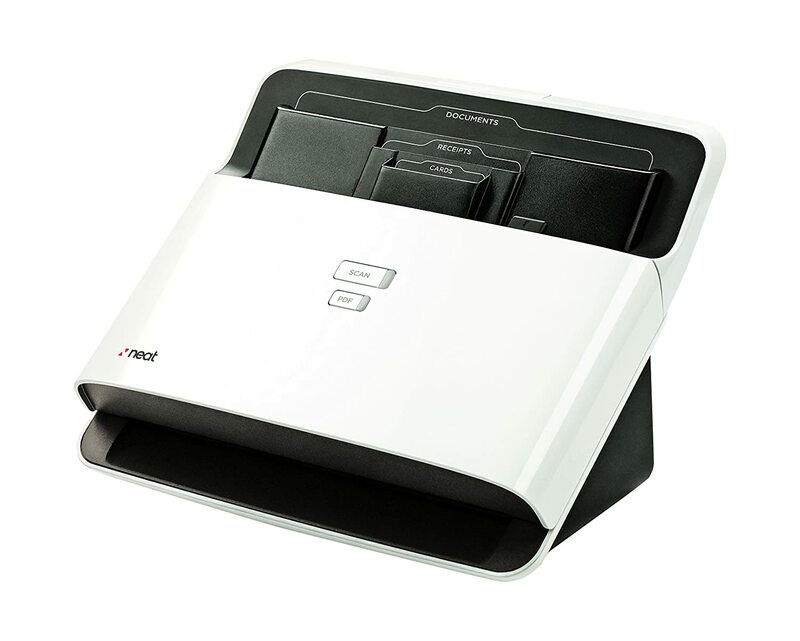 The NeatDesk scanner is small and tidy featuring a bright white finish; it is also light and fits into a small space. It is designed with two buttons; one for scan and the other for PDF. There is no explanation offered for this element, but it is distinctive rather than objectionable. The NeatDesk is a fast document scanner, best suited to small home offices or home use, with software that some reviewers found difficult to manage. In terms of customer support, the reviews are at substantial variance. Most reviewers received poor support. Unlike many less expensive items we reviewed, these reviewers are determined to make every effort to get the help they need because of the size of the investment. Reviews may just take the hit on a $15 item, but for several hundred and a direct connection to private financial information, our reviewers invested hours seeking the support they needed. Some reviewers reported that a human being answered the phone, talked them through a correction and they were back in business in no time. More reviewers called, left messages and emailed without attracting support. Was this during a period of turnover at NeatDesk? We can not tell but it is a factor to take into consideration. For our best inexpensive pick, we selected a less expensive Epson, the Epson WorkForce DS-30 Portable Document and Image Scanner costing approximately $80. Understand that this is not comparable to our gold, silver and bronze recommendations as it is designed to be portable. The other scanners are small enough to move around to different desks for convenience, but they are not appropriate for taking on the road. Having said that, we know that there are people out there who do just that. Their cars are a simple extension of their offices and they just travel with the hardware they need. So, for clarity’s sake, let’s say that the previous scanners are not designed nor anticipated by their manufacturer’s to be portable. Weighing less than a pound and Mac and PC compatible, this little scanner can travel in your briefcase, as long as you don’t have it filled with pounds of other portable hardware already. Perfect for using on the go, the DS-30 is a single page scanner that also scans business cards, handwritten documents and receipts including plastic cards. This is ideal for people who do a great deal of work on the road and are generating an appropriate amount of documentation as they work. Imagine you are a visiting nurse; you can use the DS-30 to scan the insurance of each client you visit, scan the service document and credit card as necessary, and move on to the next encounter. Saving all that paper processing for the end of the day or weekends would create a burdensome backup. You can define the destination of your documents to you cloud service, scan and email documents in a minute or created searchable PDFs as with our other choices. Again, this is considered a good document scanner as opposed to a valuable photographic or high quality picture scanner. The DS-30 includes picture enhancement for color, image skew correction, image cleanup and removal of punch holes from scanned pages. This scanner is USB powered; it does not have a power cord. The DS-30 includes a carrying back and calibration and cleaning sheets. Many people who spend a great deal of time on the road love having this to use when needed. Sales people can scan all the paper they usually have to guard and horde until the end of a business trip. People attending conferences can scan documents of equipment they wish to purchase or documents created by competitors so the office can see them almost as soon as they do. As usually happens, once you start scanning anywhere, you will not remember how you worked without it. This unit is small and light so it will not last forever being bumped and banged against your laptop, portable projector and metal travel coffee mug, but with a little care, the Epson DS-30 can fill a niche in your daily operations. What is your Scanner for? A quality document scanner can be a considerable investment. We are an acquisitive society and have a great deal of difficulty resisting high-tech toys, but a document is a true necessity for many homes and businesses these days. Understanding why you want a scanner does is key to your scanner selection. Let’s talk pages. Do you plan to scan more than 50 pages a day? More than 200? If you are not yet sure, understand that however many you currently scan or currently wish you could scan, will greatly increase when you have a working, easy to use scanner in the office or home. When you analyse your current use, consider that it may double when you have the new machine. Often times there are many reasons for this increase. The most optimistic reason is that you expect your business to grow; it’s best to plan for the increase rather than purchase a scanner you will be looking to replace in a year or 18 months. Another reason for the increase is improved utility of the new scanners. Not only are the latest scanners easier to use, they have more functionality than basic document scanning. Most scanners easily scan photographs as well as paper; this feature alone can substantially increase your scanner use. Imagine how easy it is to refresh your web content when every salesperson can scan pictures of his or her latest trip, convention or meeting. Improved ease of use is another reason your scanning use will increase when you have a new machine available. Though you may have many documents you would liked scanned into electronic storage, there is not time in the day for all that scanning. In such cases, the people scan the top priority documents and lay aside less pressing documents for a time when there is no line at the scanner, when they have more time available to turn the documents over to capture the reverse side, or until they have that free time, which rarely materializes. This is where we started. Understand how many pages you scan now and increase that amount by a third or even 50% for a good working estimate of your anticipated future use. This is to include all the documents that were supposed to have been scanned long ago as well as the many new uses your office realizes based on the advantages and functionality of the new machine. You can purchase a pretty basic scanner if you only scan standard 8.5×7 single-sided pages. This is not a usual circumstance these days, but it does occur. For example, you may be working on a documentation archiving project, gradually scanning older documents into electronic storage. More commonly, offices and home uses have varieties of document sizes and qualities to scan. Remember that sales force? They have their backpacks and pockets filled with receipts from every meal, toll, cup of coffee, newsagent and copy office they visit from AM to PM. The reimbursement and filing processes become much quicker, easier and less burdensome when all such documents are scannable. For two-sided scanning, you have two basic choices. The are scanners that flip the pages over to scan the back after the front is scanned and there are what are called duplex scanners that scan both sides at the same time. The ladder is quicker and inherently more expensive. The former creates two-sided scans more slowly, but with equal clarity. Think of how many two-sided scans you need to complete and how much time you want to pay your scanning technicians to do such work. Will you often Need to Access Scanned Documents? Many users employ a scanner as if it were an electronic file system for documents they don’t really expect to need again. Think of that permanent record you were told about during your entire school life. If it exists, it is in a storage warehouse among an army or file cabinets. It is possible to find it, but no one expects to reference it again. However, if easy access is important to you, multiple ways of accessing your scans is important. This includes the electronic filing system employed, access from PCs, mobile devices of different manufacturers, and being able to train the necessary personnel on access. This is another case for planning. If you currently have limited access to your scanned documents and purchase a scanner that improves access, people will use both the scanning and access more frequently. Plan for increased demand. Many people have small businesses that they operate from their homes. The documentation implications of this are substantial. Such users may not need the scanner with the most bells and whistles, but may well need a scanner that manages many pages a day. People in home offices do not have space for miles of file cabinets and may give their new scanners a real work out trying to control all the paper they need. The scanners we reviewed here are not appropriate for large companies with floors and floors of people scanning, emailing, and even faxing all day. These are options for small to medium businesses and home users looking to improve their documentation control without breaking the bank. After reviewing your needs and reading the reviews contained here, if you decided that none of the models are substantial enough for your need, great! You have learned the basics of current scanning machines and understand your own needs. The larger manufacturers have product lines to meet all needs and you will surely find a product to fit your environment. It seems likely electronic storage which has been increasing apace with the innovations of scanning is only going to continue to increase. Therefore, purchasing closer to the top of your budget may be a good option. The current offering of functionality is sufficient for some time and unless your need doubles or triples in a very short period, you should not be shopping for a new scanner too soon. If you are so fortunate as to experience that level of business growth, we congratulate you and feel you must be equal to a new scanner with all that new business. .